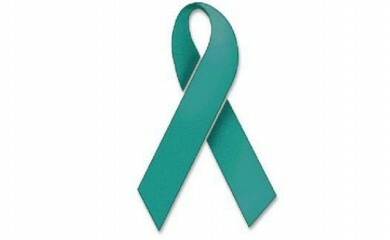 Counterpart > About us > Latest news > Latest News > It's Teal Ribbon Day – Wednesday 26th February! It's Teal Ribbon Day – Wednesday 26th February! Each year, around 1400 Australian women are diagnosed with Ovarian Cancer. Many face significant challenges and need support. BreaCan along with organisations such as Ovarian Cancer Australia provide practical and emotional support to these women. This is the reason why, each February, in Australia, Ovarian Cancer Awareness Month is held to raise awareness of ovarian cancer and to recognise women, their families and friends living with ovarian cancer.